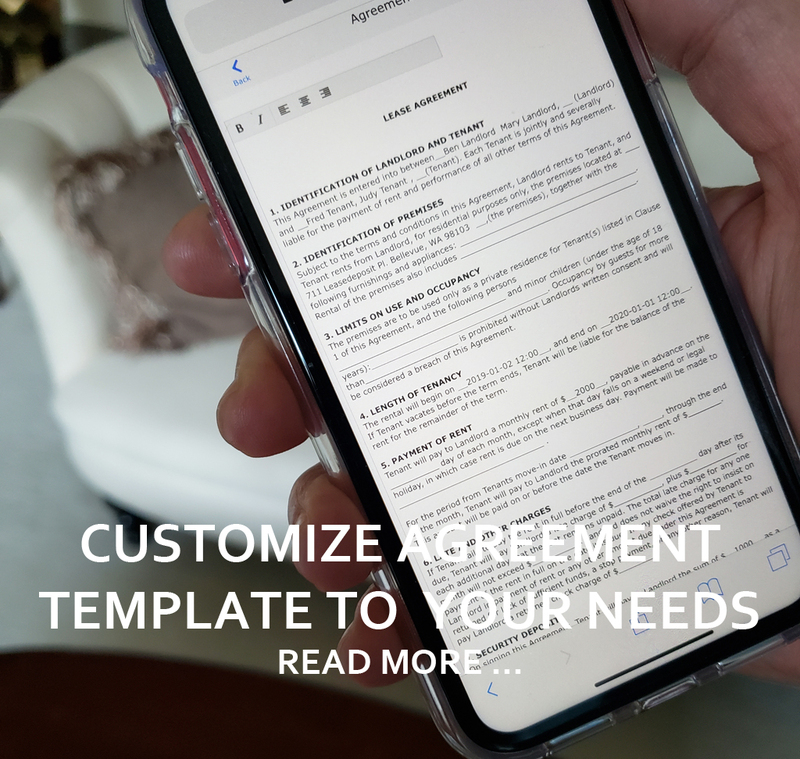 Whether you manage one rental property or dozens, you need to create a lease agreement, move in and move out inspection forms and maintain expenses during the year. 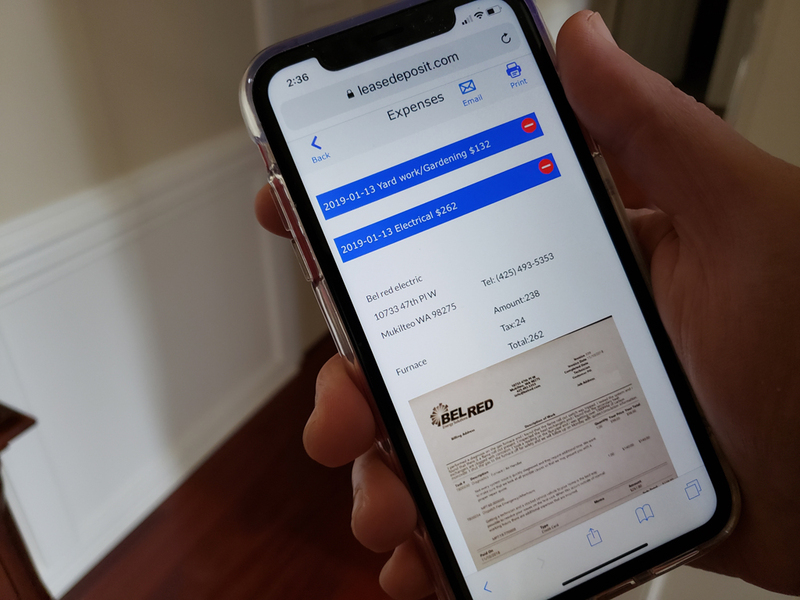 Unlike other sites and applications, leasedeposit is a complete solution for creating, managing and storing, lease agreements, inspection forms and property expenses. 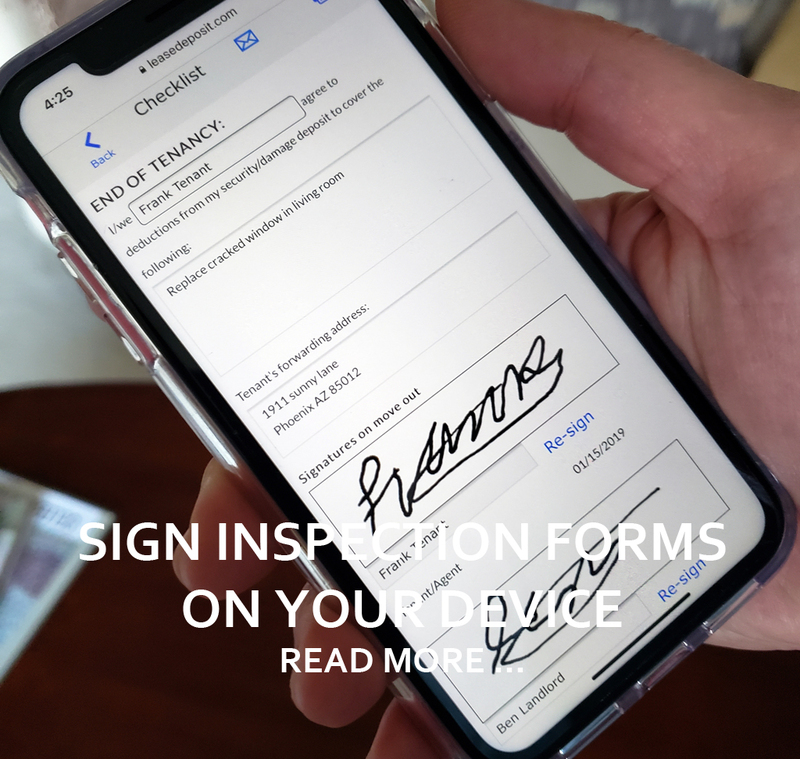 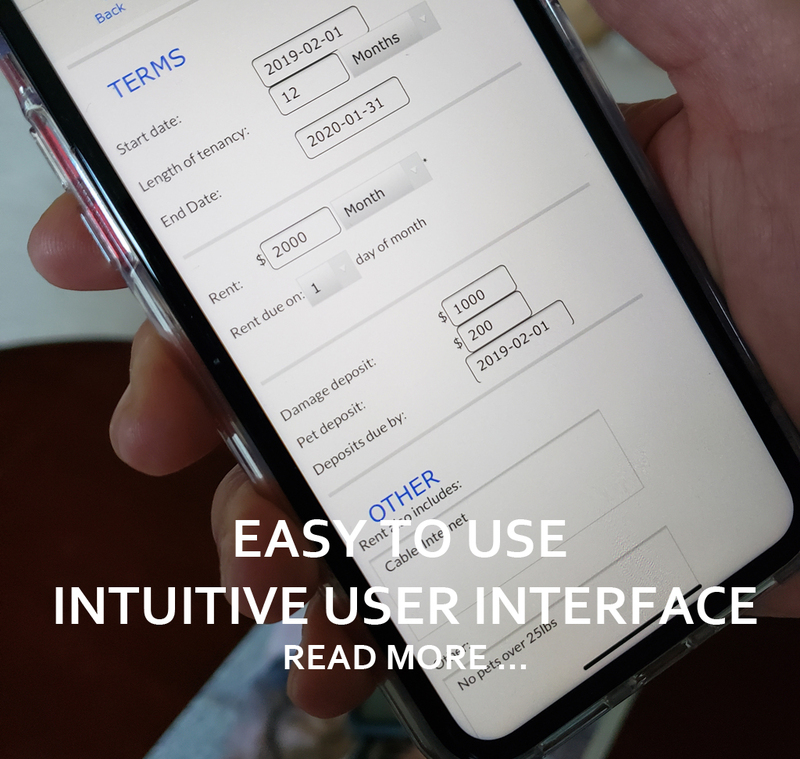 Leasedeposit supports online signatures, so there is no need to print and scan lease agreements and inspection forms, saving you and your tenants time. 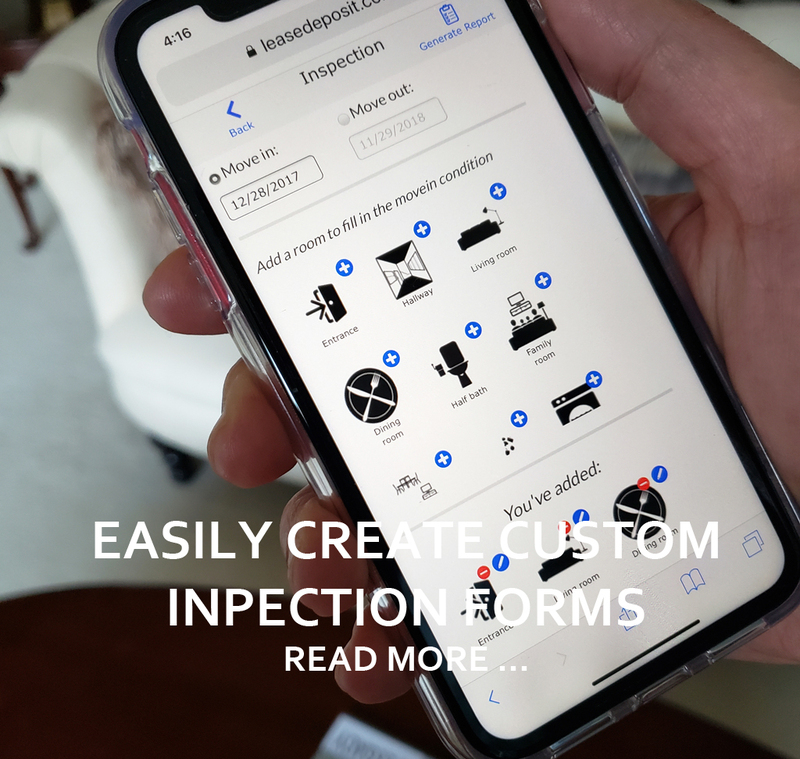 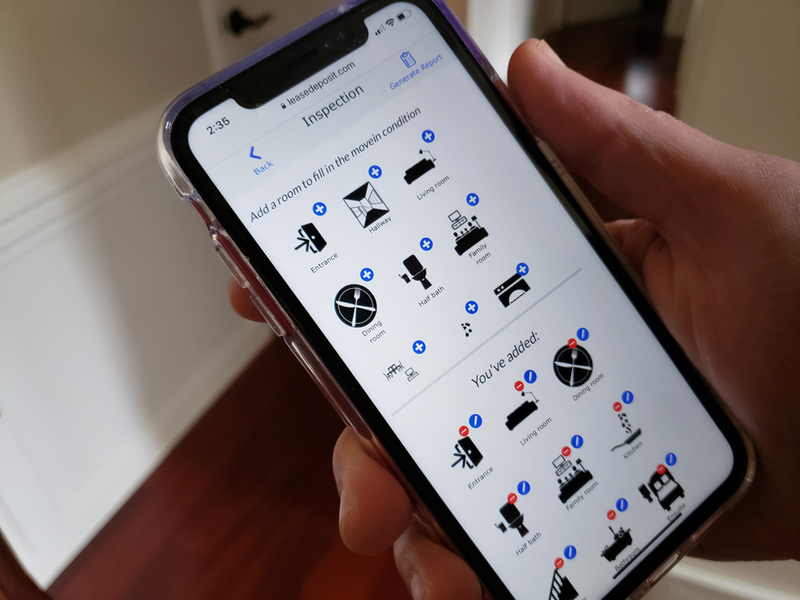 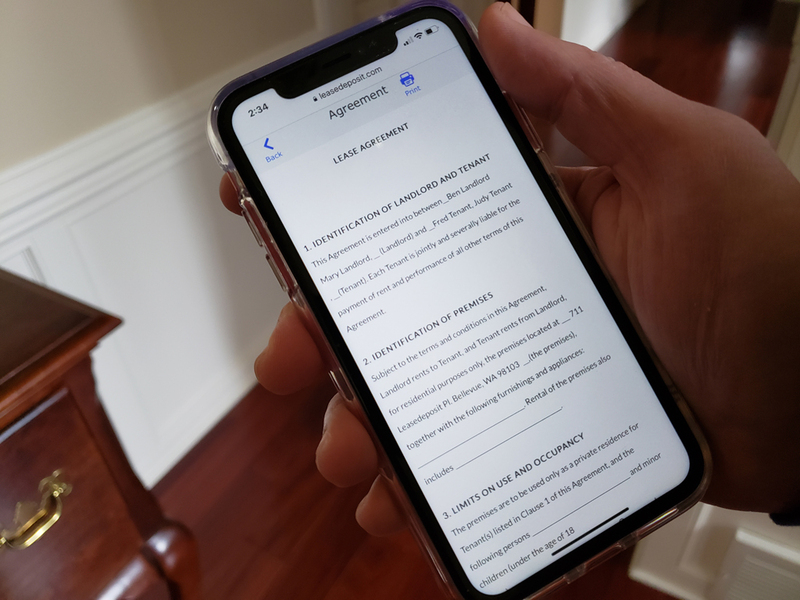 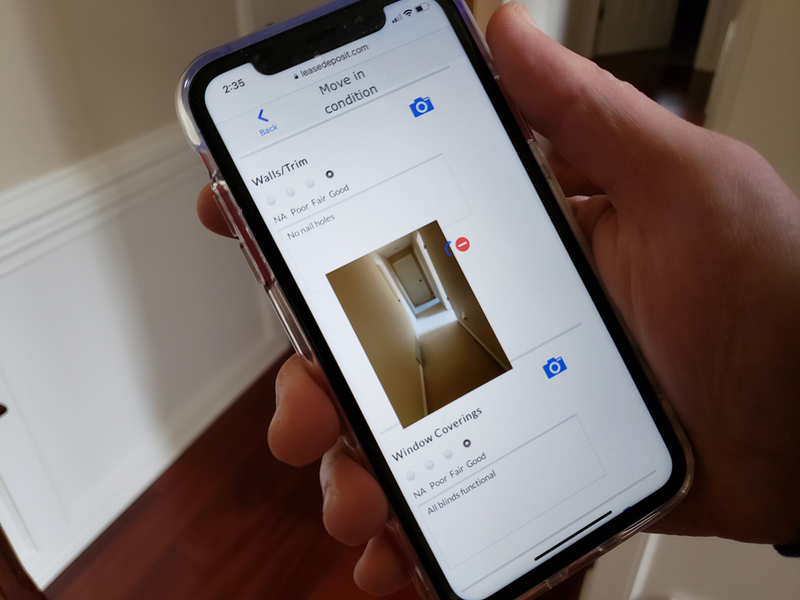 With leasedeposit, you can create inspection forms customized to the property you are inspecting, and include photos during move-in and move-out inspections, thus reducing the risk of costly legal confrontations, and helping mitigate property damage in the first place. 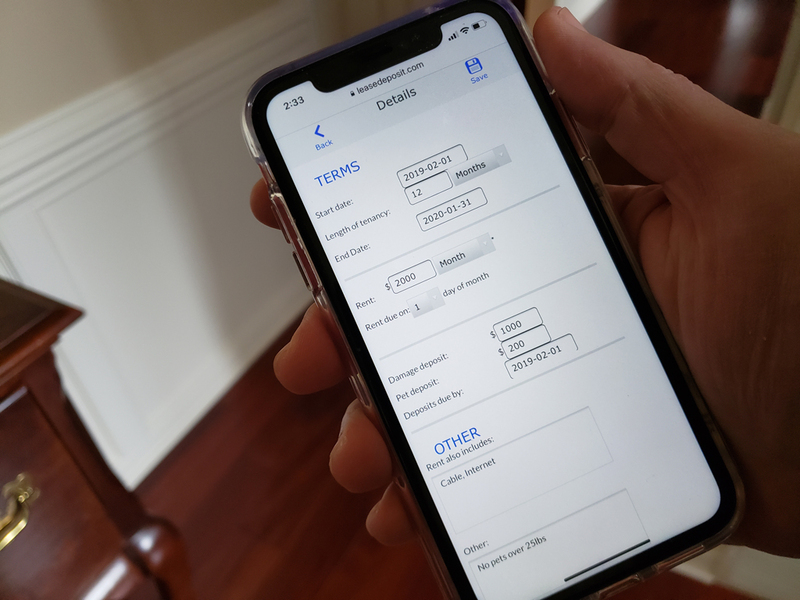 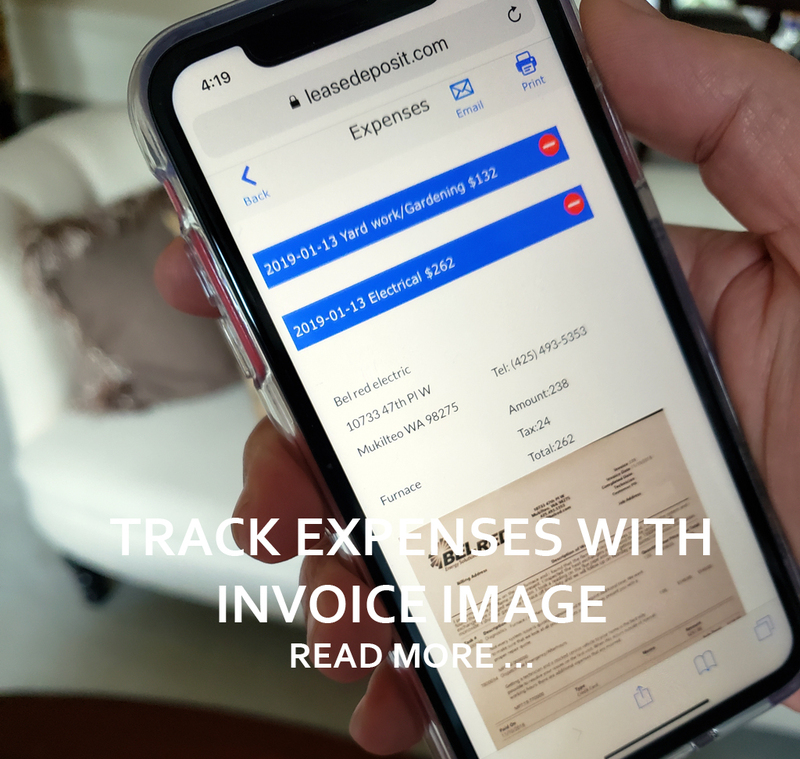 With leasedeposit, you can store property expenses online during the year, and capture images of invoices, which are critical to tax return preparations. 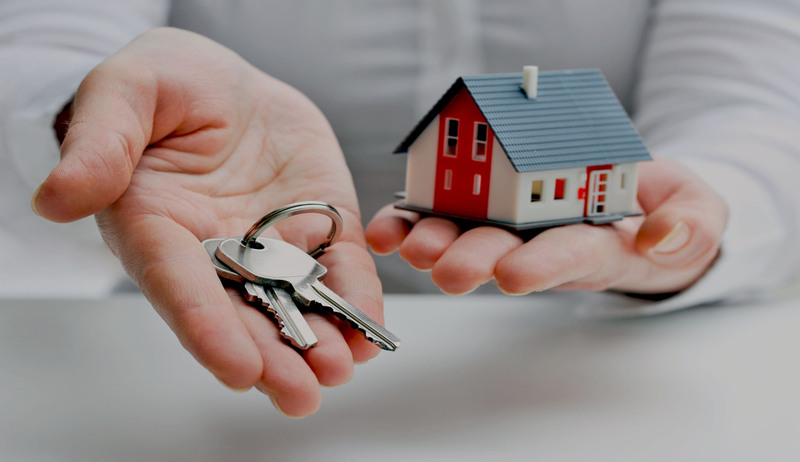 Leasedeposit is everything a landlord needs. 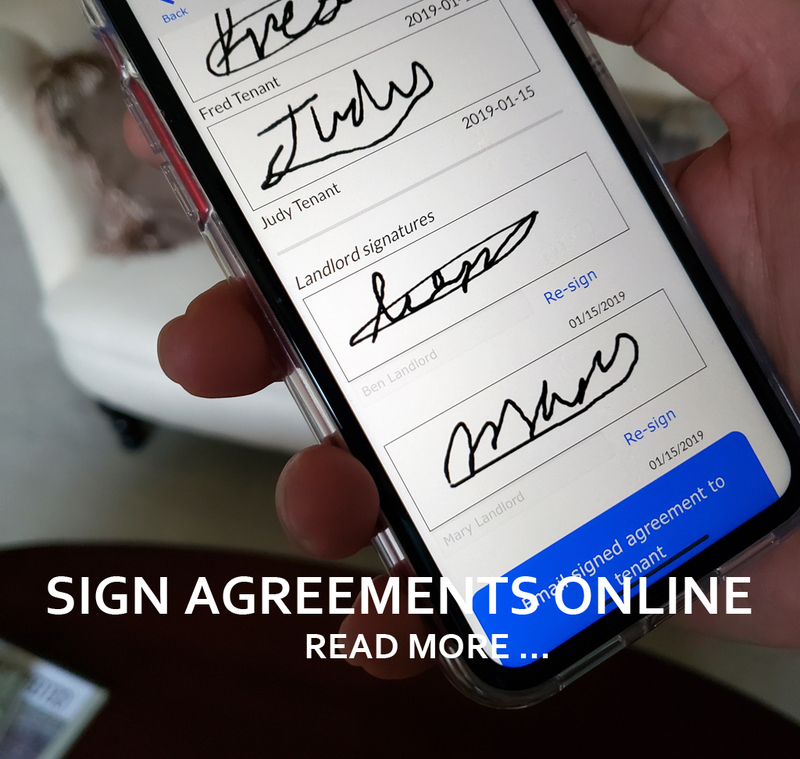 Register NOW! 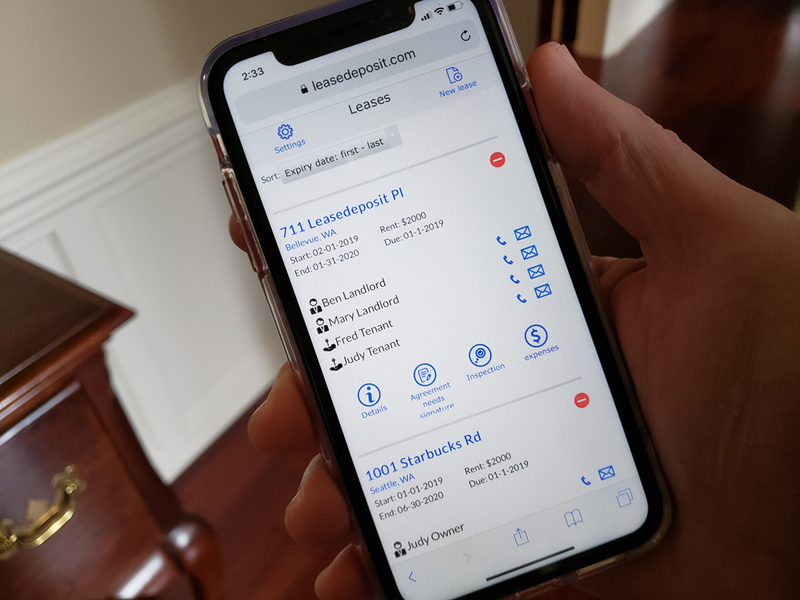 and see how Leasedeposit can can save you time, and take the risk out of rental property management.